The cup has small easy to grip handles on the side for the little hands to hold onto. 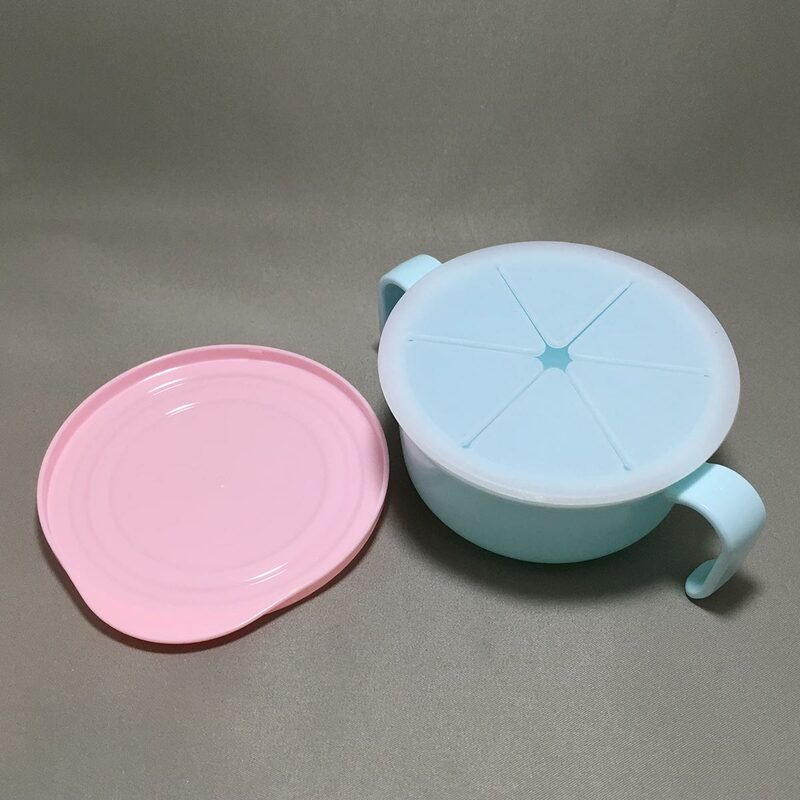 There are two lids, an outer snap top lid cover the cup when you’re on the go, and also to keep the food fresh. 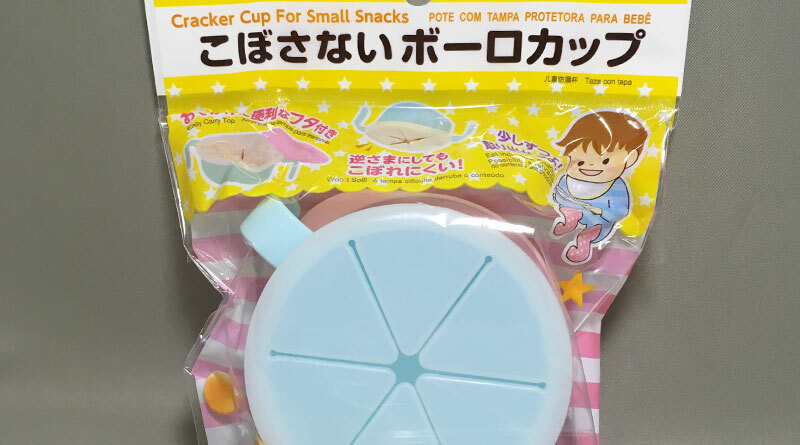 And a flexible inner opening lid which allows the wee little hands to grasp the snack with ease while keeping the snacks from spilling out when the cup is tipped over. 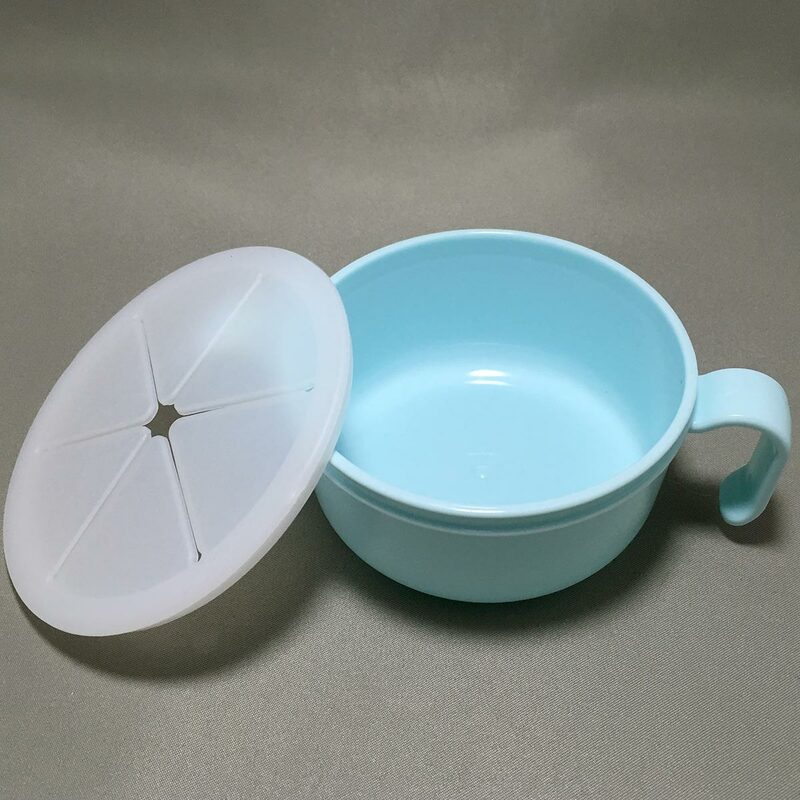 – The child snack cup meets food industry standards. 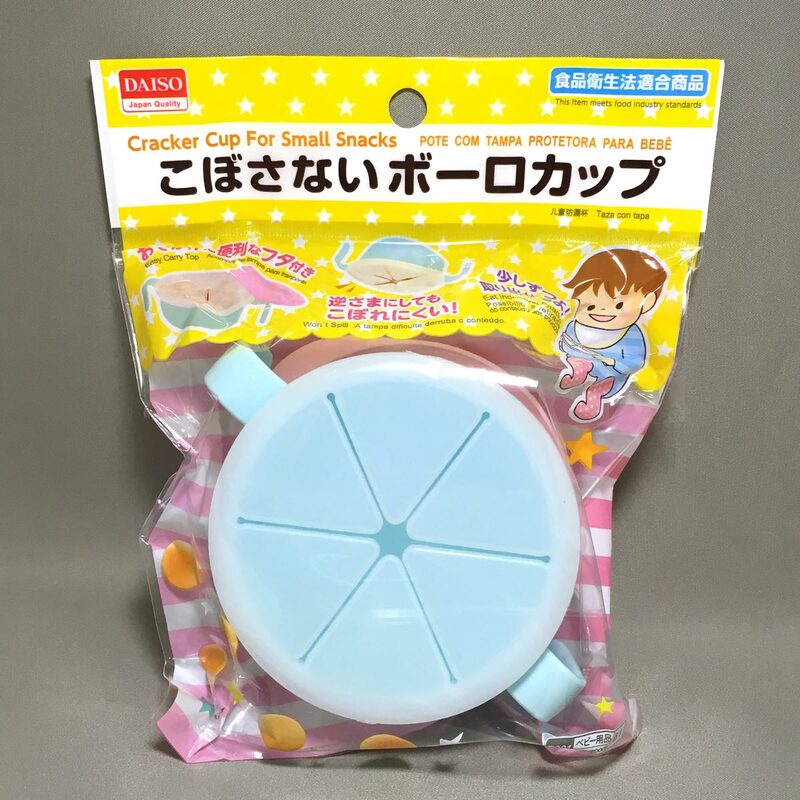 – The child snack cup is not leak-proof. Do not put wet food or liquid in the cup. – Do not use in dish washer or dish dryer. – Do not sterilize with boiling water, chemical disinfectants or use microwave disinfection. – Do not store in freezer. – Wash with dishwashing detergent before using for the first time. – After use, wash with dishwashing detergent, and dry before storing. 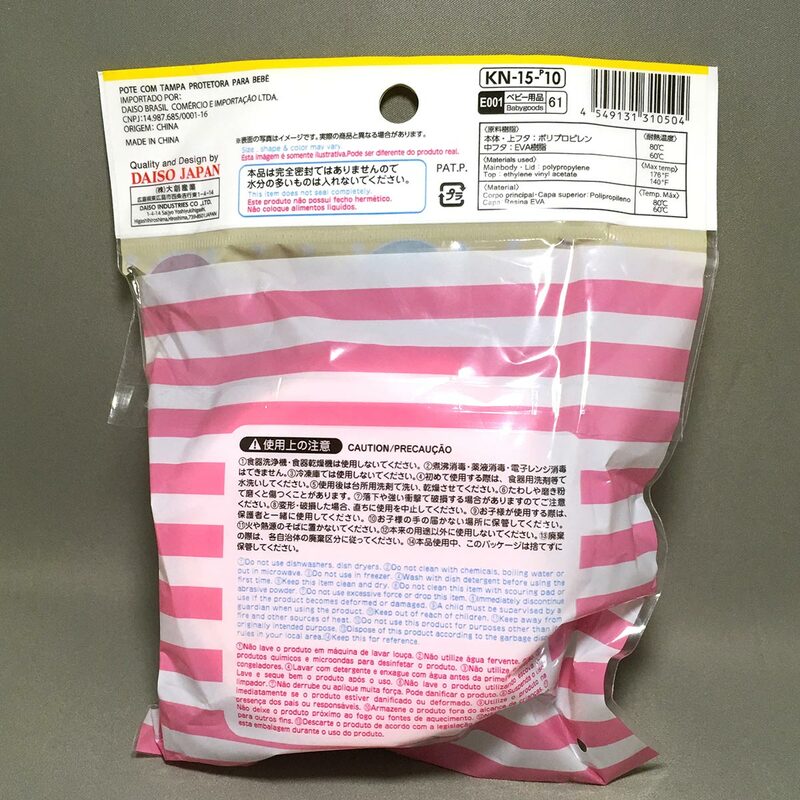 – Do not use scourer or scouring powder on the snack cup. – Dropping or strong impact may cause damage to the snack cup. – Do not use if there is damage or deformation to the product. Boro, or egg biscuits, is a common snack in Japan for small children. They are small and round and tend to spill all over the place when small kids (like my 1-year-old) attacks it. The inner opening lid is great for kids to learn to put their hands in the cup and grabbing the snack. 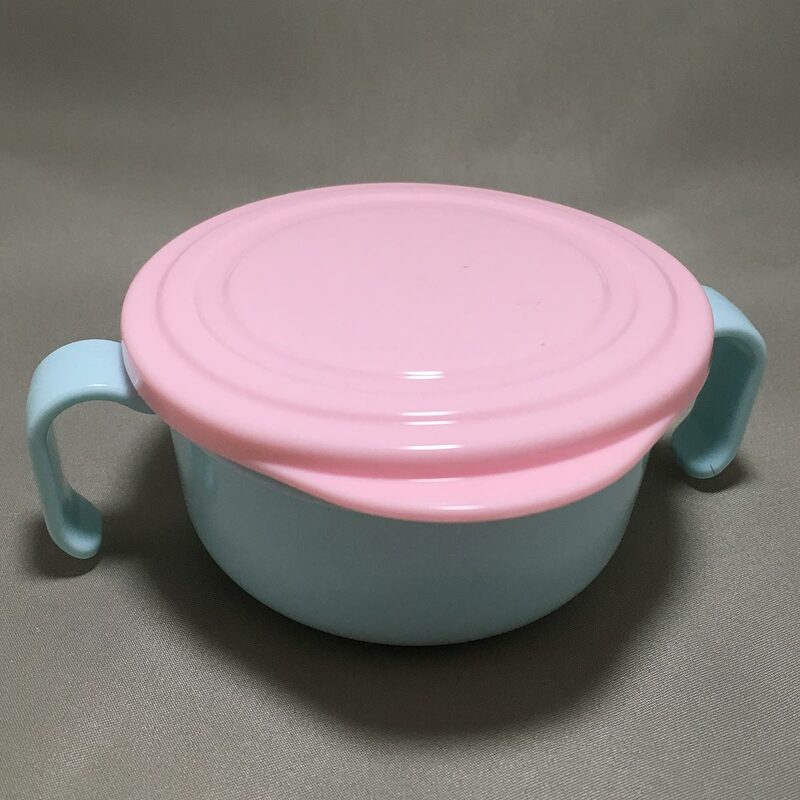 And if they throw a small tantrum and toss the cup around (which my son loves doing), the inner lid keeps the content inside. 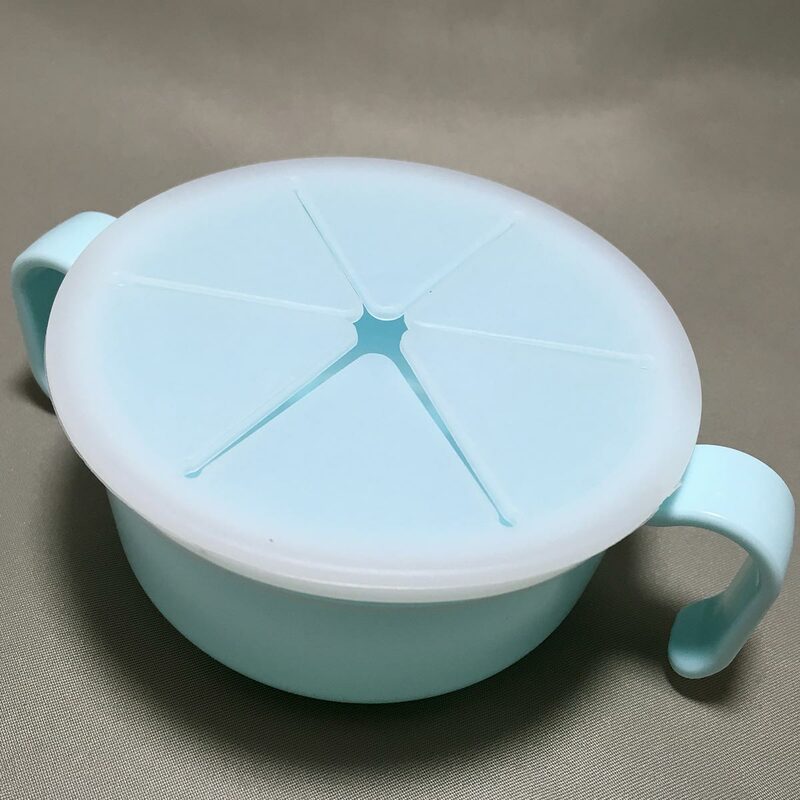 I’ve seen other types of snack cups, and would prefer this cup to have a flip lid so it doesn’t get lost, and also a non-slip base as it may slip about on the table.